Browse our comprehensive day trading reference guide written for day traders by day traders and learn everything you need to know to navigate the markets. The Day Trading Encyclopedia is the ultimate guide to help you learn how to day trade. 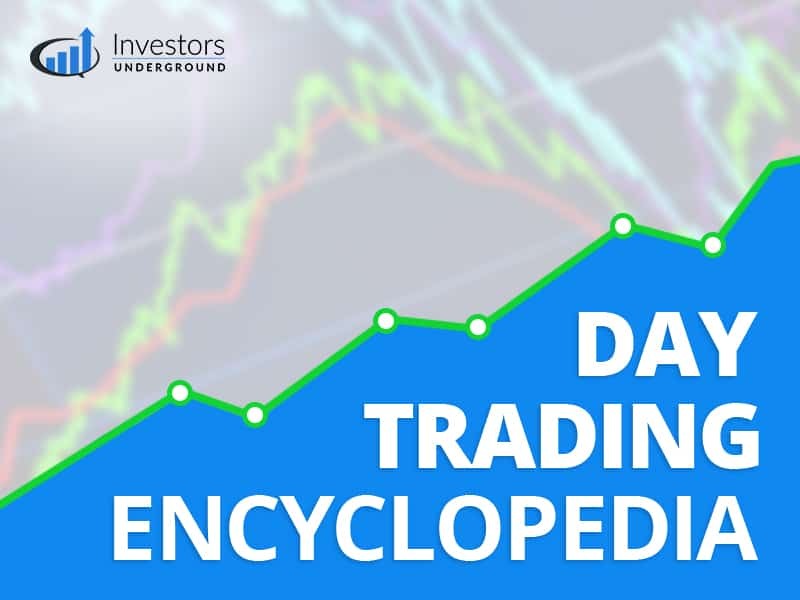 What is the Day Trading Encyclopedia? The day trading encyclopedia is a reference material for day traders to better understand different trading terms and strategies. There is a lot stock market education content available on the web, but most of it is not tailored specifically for day traders. This encyclopedia is written for day traders by traders. We wanted to offer a more "trader-friendly" approach to stock market information. Our goal is not to cover every single stock market term. We believe that day trading is all about simplification; take a seemingly complex amount of data and simplify it into a more applicable form of information. Because of this, we focus only on trading terms that are relevant to day traders. Although this encyclopedia is loaded with tons of information, it was not designed to be a stock market course. It should be used as a reference guide. Curious about what a MACD indicator is? Look it up! Wondering what to look for in your trading platform? Look it up! Our goal is to outline these topics in a way that is easy to understand. Complex market theories, although applicable in some cases, can be difficult to put into action. The Day Trading Encyclopedia is focused on providing simple explanation with visual support so you can learn what you need to know in the easiest way possible. How Much of This Information Do You NEED to Know? You'll hear us say time and time again that day trading is all about simplification and developing filters that allow you to focus solely on information that is relevant to you. As mentioned above, this encyclopedia is a reference material and not a course. You do NOT need to use every technical indicator in this encyclopedia, nor do you need to memorize every single chart pattern. Instead, you should focus on the information that is most relevant to your trading style. That said, it can be beneficial to understand different market terms so you are more educated and so you can understand how other traders may be thinking. It is good to be familiar with most of the topics in this encyclopedia, however you will not need to use all of them on a day-to-day basis. What Options Do I have for Day Trading Education? If you are looking for information in a course format, we have a variety of options. We highly recommend checking out our paid courses, Textbook Trading and Tandem Trader, as well as our free beginner's trading course embedded below.